Do you want to save money? If so, this exclusive offer is right for you! 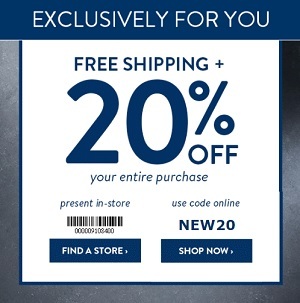 Take an extra 20% off your entire purchase made at U.S. Jockey online or U.S. Jockey store location. To receive the offer in-store use the printable coupon. Source of the information is U.S. Jockey. For more details about the offer visit any U.S. Jockey store location or U.S. Jockey online.